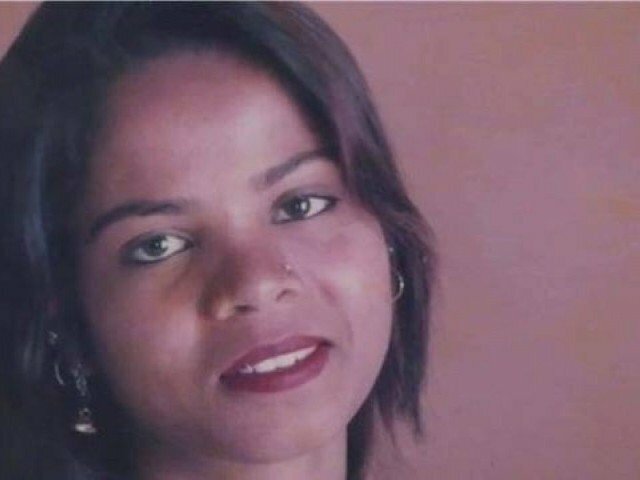 ISLAMABAD: The Foreign Office on Thursday rejected news reports that Asia Bibi, a Christian woman who was acquitted by the Supreme Court last week in a blasphemy case against her, has left the country. “Asia Bibi is in Pakistan,” Foreign Office spokesperson Dr Muhammad Faisal said during his weekly press briefing. “There is no truth in reports that Asia Bibi has left the country,” he added. The FO spokesperson’s statement came in response to reports that Bibi had left the country following her release from a prison in Multan on Wednesday night. The mother of five was headed for an unknown destination, her lawyer had further said. Earlier, a civil aviation official in Multan said a small plane arrived in the city with “a few foreigners and some Pakistanis” on board to fetch Bibi. According to a civil aviation official, the aircraft that collected Bibi from jail would have been required to land in Islamabad but it was unclear if she may have had a connecting flight. On the other hand, three security officials told Reuters early Thursday that Bibi was released from the Multan prison. She was flown to the airport near Islamabad but was in protective custody because of threats to her life, they said, speaking on the condition of anonymity. Bibi’s release came a week after her acquittal in a landmark case that triggered angry protests in the country and following appeals from her husband, Ashiq Masih, for Britain or the United States to grant the family asylum. Allegations against Bibi, 53, dated back to June 2009 when she was labouring in a field and a row broke out with some Muslim women who had alleged that she committed blasphemy against Prophet Muhammad (Peace Be Upon Him). 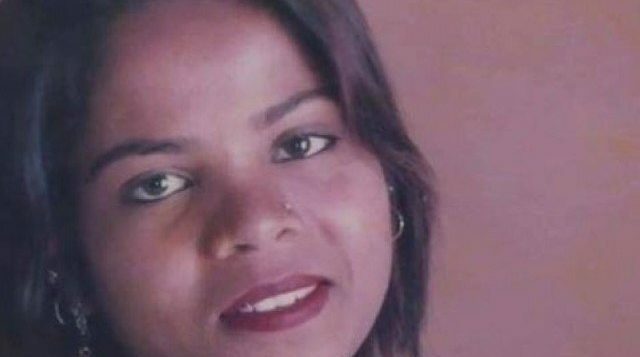 Bibi was convicted of blasphemy and sentenced to death in 2010 despite her advocates maintaining her innocence and insisting the accusers held grudges against her. Bibi’s conviction was overturned by the country’s highest court on October 31 but she had remained in prison as the government negotiated with protesters from religious groups — led by the Tehreek-e-Labaik Pakistan (TLP) — who blockaded major cities and demanded her immediate execution. Riots broke out in major cities across the country in the wake of the ruling, with club-wielding protesters barricading roads and highways in Islamabad, Karachi, and Lahore. Enraged masses had blocked several routes across the country for two days, while at some places they had also set fire to vehicles. On November 2, two days following the protests, the government had agreed in a deal with the Tehreek-e-Labaik Pakistan (TLP) — one of the most vocal groups in the protests — to follow due process to impose a travel ban on Bibi, and not to challenge an appeal in the Supreme Court. Saif-ul-Mulook, her lawyer, fled to the Netherlands on Saturday citing threats to his life.